Attention deficit hyperactivity disorder (ADHD) affects children and teens and can continue into adulthood. ADHD is the most commonly diagnosed mental disorder of children. Children with ADHD may be hyperactive and unable control their impulses. Or they may have trouble paying attention. These behaviors interfere with school and home life. 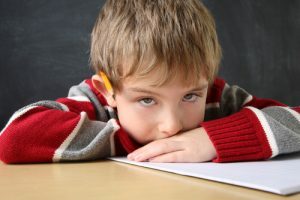 ADHD is a common behavioral disorder that affects about 10% of school-age children and can carry over into adulthood. Boys are about three times more likely than girls to be diagnosed with it, though it’s not yet understood why. The Center for Medical Genetics can analyze your child’s genes and help his or her healthcare provider select which personalized medicine is more likely to work for your child and less likely to cause unwanted side effects. The good news is that with proper treatment, kids and adults with ADHD can learn to successfully live with and manage their symptoms. Our test analyzes how patients’ genes affect their metabolism and possible response to FDA-approved medications commonly prescribed to treat ADHD. The information from this test can help you select the medication(s) and dose(s) that are better suited to your patient’s condition and genetic profile. The Center for Medical Genetics provides an objective and personalized approach to treatment. Our test is based on pharmacogenomics, the study of how genes affect a person’s response to medicines. This genomic medicine approach might be able to help the doctor help your child. What tests can be performed? 1) A cheek swab is used to collect cells that contain your child’s DNA. 2) Your child’s sample is sent to our accredited lab for DNA testing. 3) Within 7-10 days your child’s report is ready for his or her healthcare provider. How are test results reported? Your child’s healthcare provider will share the report with you and select the medications and doses that are best suited for your child’s genetic profile. If you believe that pharmacogenetics could help your child, we’re ready to assist you. Contact us today with questions or to set up an appointment.